This stylish planter is made with paper mache, giving it a unique and textural look. It's suitable for both indoor and outdoor use. A subtle pattern gives the planter decorative value, and the classic white colour will suit modern and traditional settings. If filling with a living plant, pre-pot it rather than planting directly into the vessel. 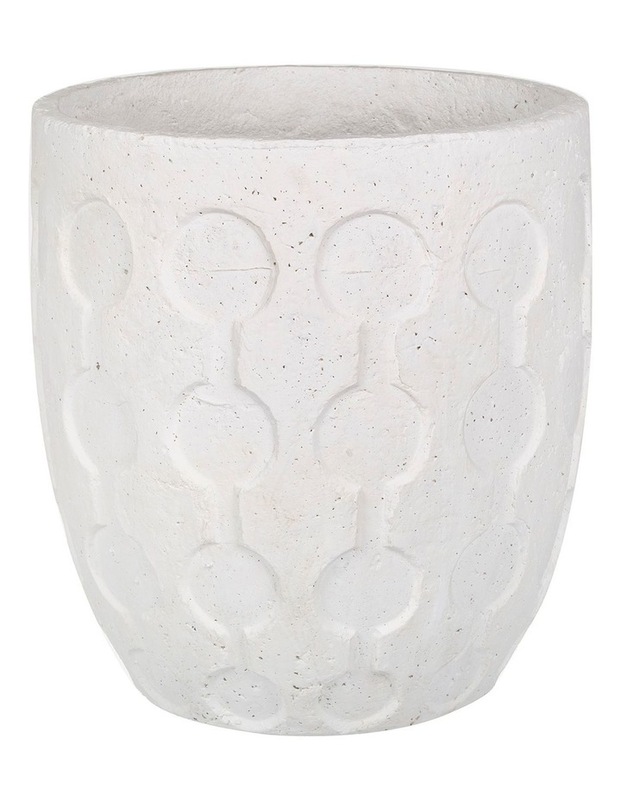 A smaller white Riley Planter is also available, as are bold black versions.